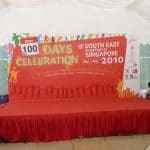 Last Saturday marked 100 days of celebration of Singapore 2010 from May to August. 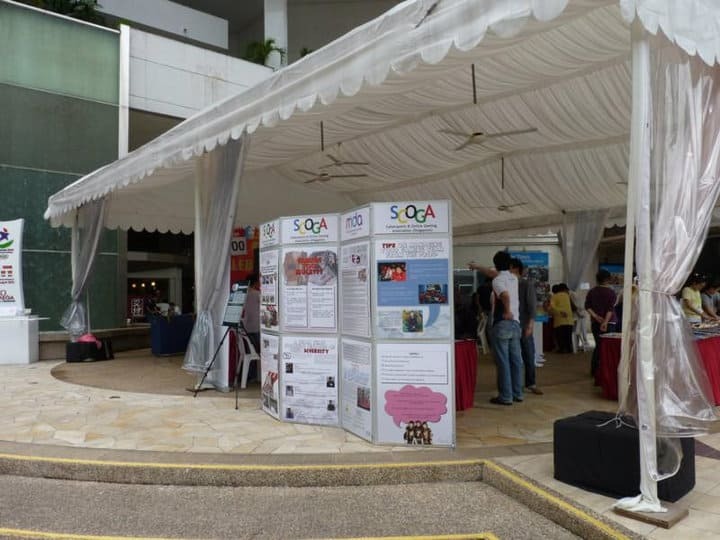 In view of this, SCOGA worked with the National Library Board (NLB) for a showcase at Parkway Parade’s Atrium. 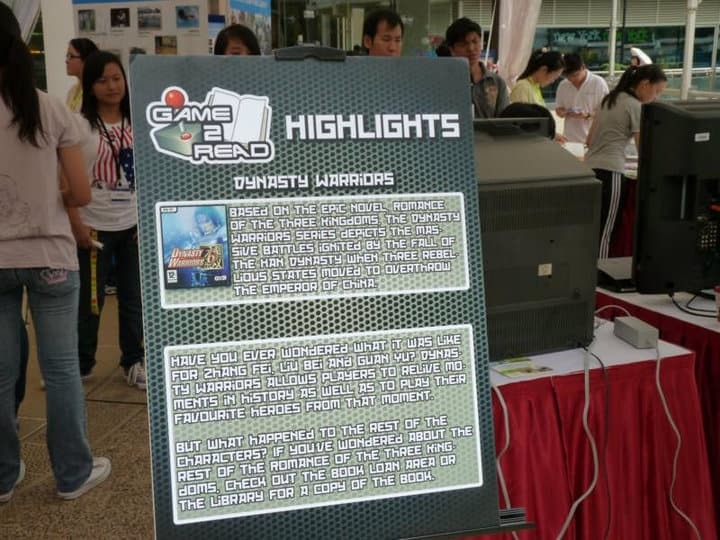 SCOGA showcased Dynasty Warriors 6 on the Playstation 3 as part of our joint program with NLB called Game2Read and WiiSports on the Wii. 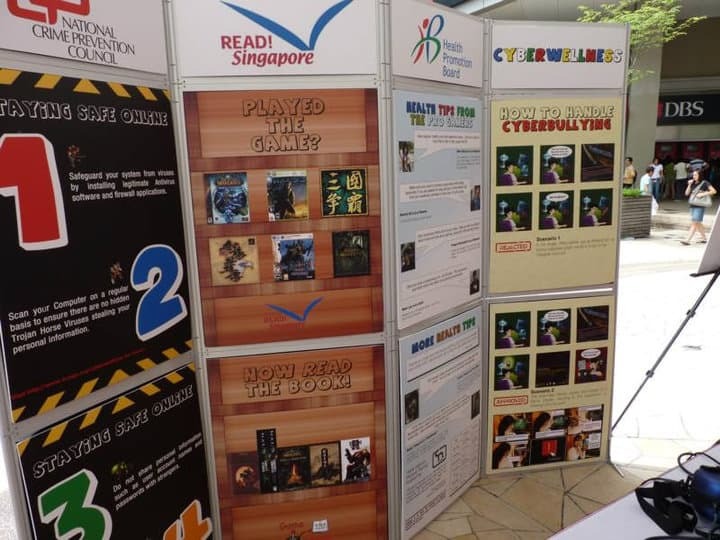 We also displayed our cyberwellness exhibition! There were also a myriad of booths at the celebration. 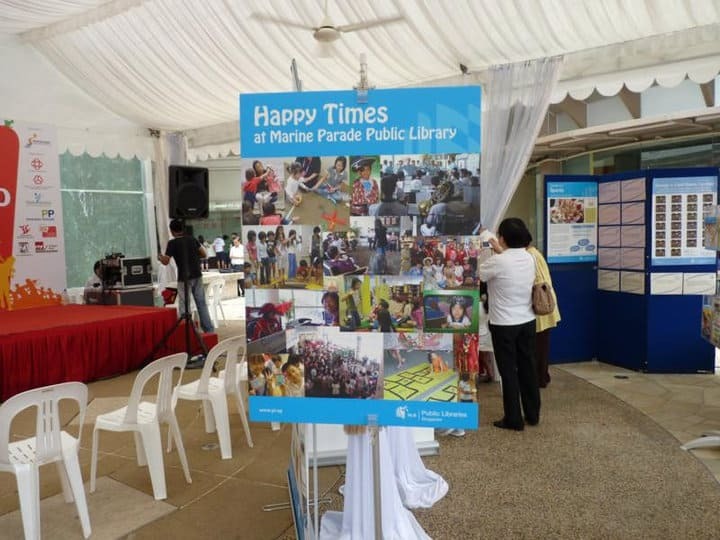 One was a showcase called Happy Times at Marine Parade Library, and displayed photos of the many events and activities that took place there. 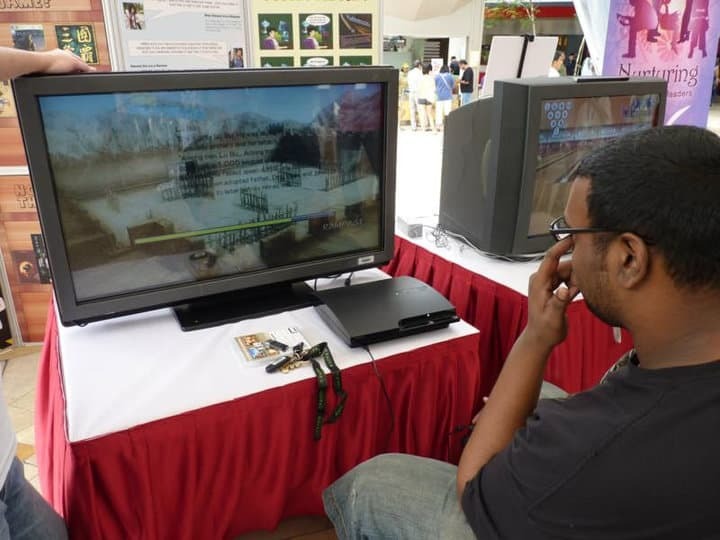 Do you have any good memories of the Marine Parade Library? Share them with us in the comments! 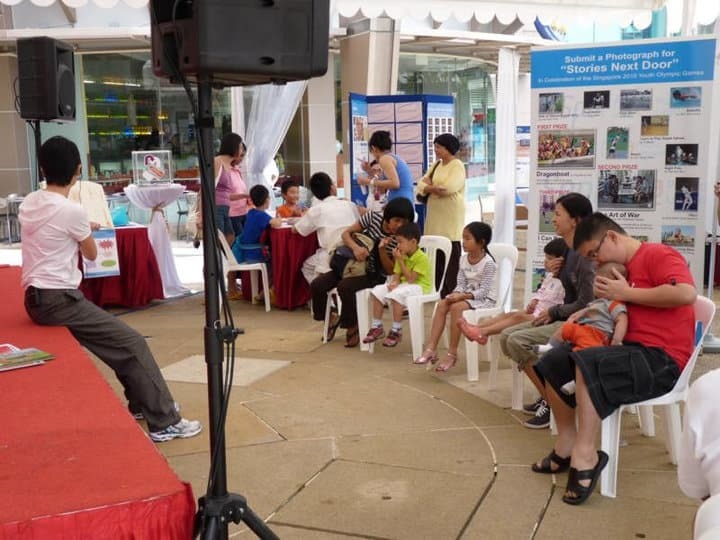 Visitors were also welcomed to sample some of the fun, in the form of storytelling and origami sessions later in the day. The kids loved them. 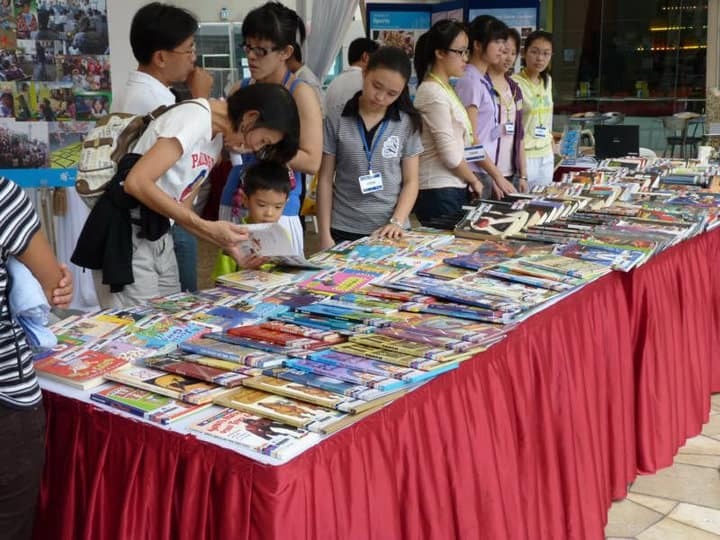 Since the 100 days of celebrating Singapore 2010 was all about the Singapore Youth Olympic Games, the NLB had books on sports out for loan. 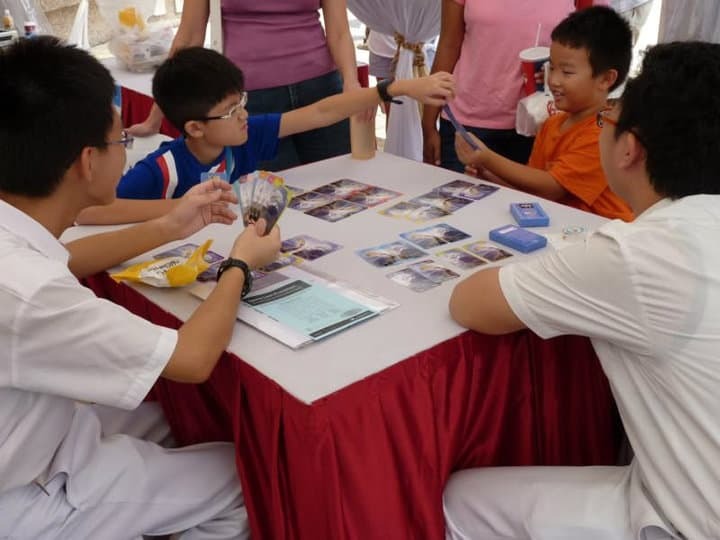 One could also try his hand at the winning entry of the Design A Card Game contest held earlier in the year. To win, one simply had to match all the cards! 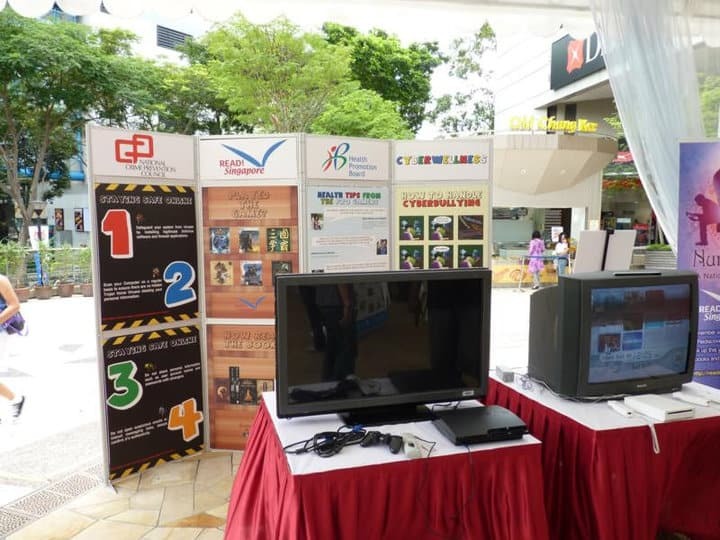 The game was designed with the Singapore Youth Olympic Games in mind, and contained trivia on sports. 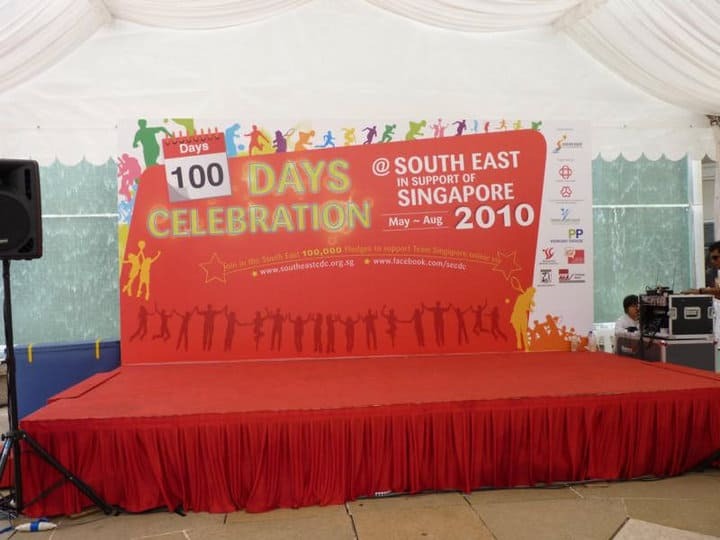 The biggest commemoration of the SYOG was definitely the countdown timer next to the stage. Don’t forget to catch the opening ceremony on the 14th of August!